Rated 3 out of 5 by natalym5bc6 from It is a good product however the smell irritates my eyes and itchy and makes it annoying, but it has a good-normal duration. Rated 4 out of 5 by sharonf3e85 from The color from Garnier was a lot more silver than I expected. It certainly didn't look bad, and I'm received a ton of compliments on it. It's just a little more shimmery than I was expecting. Applying the color was really easy. Afterwards I did have some bleed from the color, but after a couple washes that has gone away. Overall, I definitely like the brand, it just was a little lighter than expected. Rated 5 out of 5 by tawnyaw1 from I was very impressed with Garnier Head in the Clouds. I was expecting out to be more gray, yet had much more of the blue hues tho it. I have received several compliments on this color. I did recieve this for free from Influenster ascend Gatnier. These opinions are strictly minte though. The scent of the coloring was also very pleasant unlike normal hair coloring. I will definitely be purchasing this profiling. #complimentary, #contest / @influenster) and mention that you were give this product complimentary in your post. Rated 4 out of 5 by ampdolphin from Wow this color is absolutely beautiful. Garnier always has great products. 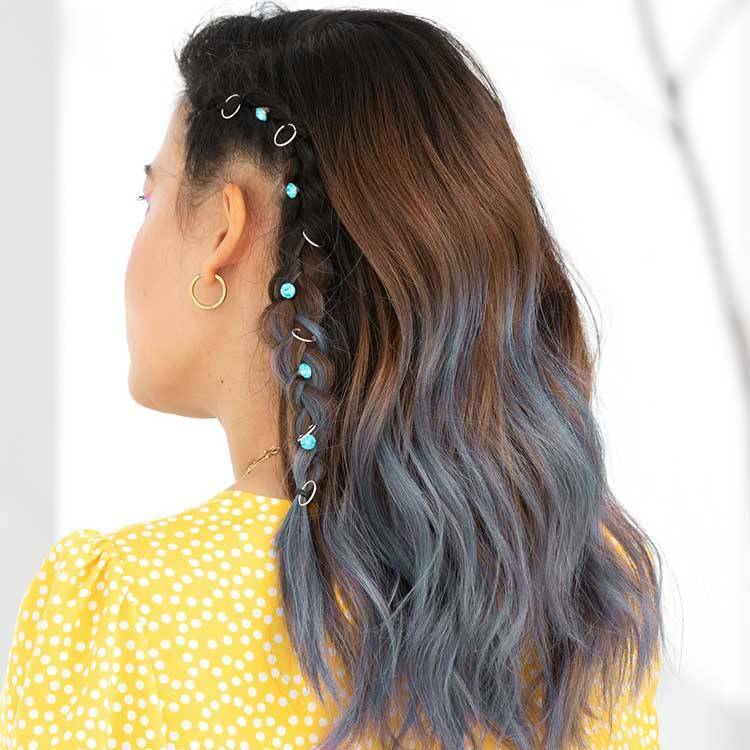 The color is so light, that you have to completely bleach your hair, but if you have hair that doesn't samahetoo easily, try this color! Rated 5 out of 5 by loraleat from I love this color!! Perfect for autism awareness month!! My son has autism so blue is a favorite color in our home. Rated 4 out of 5 by ashleighb86ad from Color is gorgeous as long as your hair is the right tone. Easy to apply, smell isn't too overpowering. Made hair feel softer than before too ! 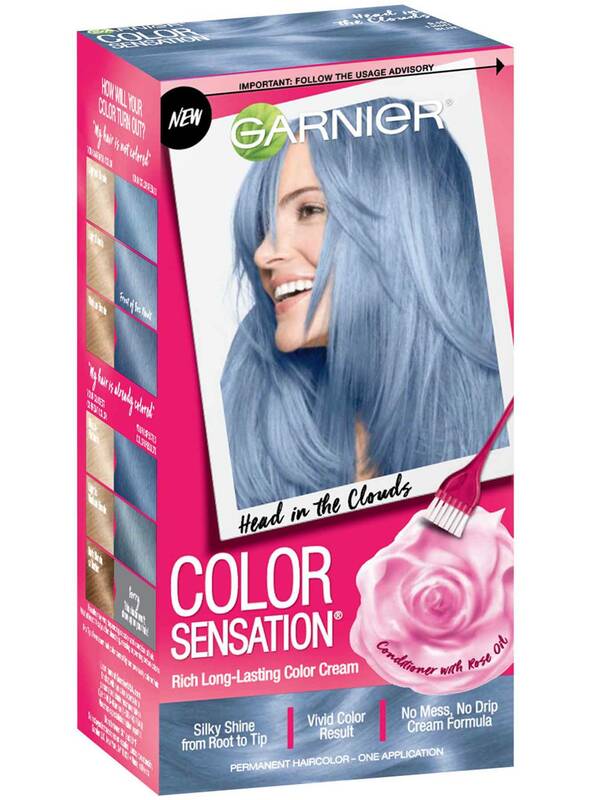 Rated 3 out of 5 by rehemac from I just received my first #VoxBox of #Garnier 8.10 Head in the Clouds hair dye. I have loc'd black hair and bleached my hair tips about two years ago and about two months ago I coloured it indigo blue. It's still as vibrant as ever so I'm not planning to use this dye anytime soon. However, based on what I'm seeing on the box, I'll have to bleach my hair again to the lightest blond for this colour to show, and I'm very reluctant to do that. 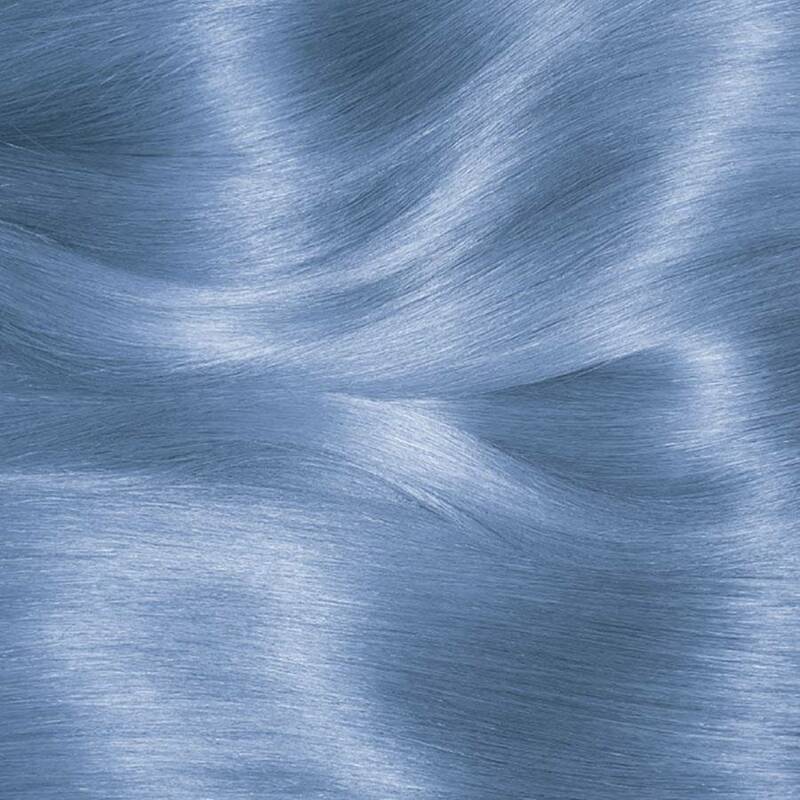 I think this colour is more suitable for persons with super light coloured hair or on the highest lift of bleaching. Rated 5 out of 5 by brittanym9ab479f591ff44c3 from This #freesample of @garnierusa was very easy to use! It left my hair feeling like I had conditioned it, not like I had dyed it! It did not have an overwhelming smell like most hair dyes do. Thanks @influenster!